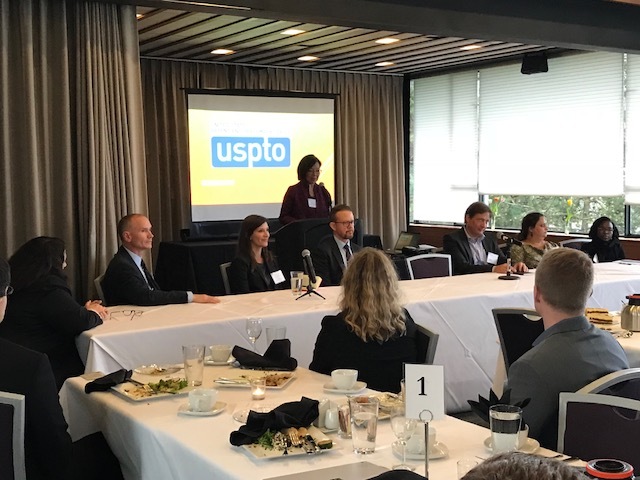 Group 7 and the Seattle IP Inn of Court welcomed international guest speakers from the U.S. Patent and Trademark Office and the University of Washington School of Law. Dominic Keating, director of the USPTO IP Attaché Program, provided background on the IP Attaché program. IP Attachés Michael Mangelson, China, Laura Hammel, South America, Susan Wilson, European Union, Komal Kalha, India and South Asia, and Deborah Lashley-Johnson, WTO and WIPO, each spoke on issues in their respective regions. Dr. Jan B. Krauß, German patent attorney and University of Washington School of Law Guest Lecturer, rounded out the panel, focusing on Brexit. 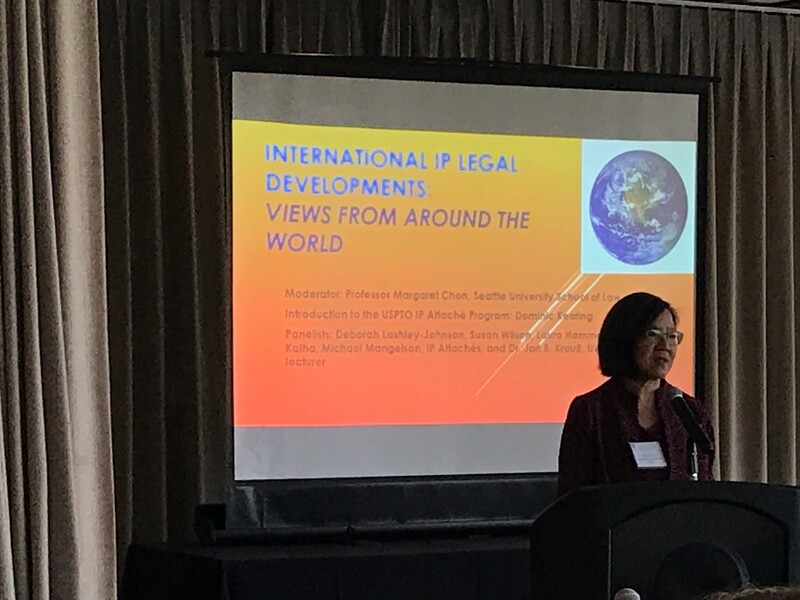 Professor Margaret Chon, Seattle University School of Law, moderated the panel. Thank you to all the panelists, Professor Chon and to Group 7 for a special presentation on international IP issues!